For my money, which isn’t all that much, “Breaking Bad” is the best dramatic television series in the history of the medium. I was pretty surprised when I first felt this way, which I think happened midway through season three. Mostly, because I couldn’t imagine a world where I enjoyed a show more AND thought it was made better than “The Sopranos.” You know, the way Michael Jordan believers never thought they’d see someone better, only to have Lebron open their eyes. 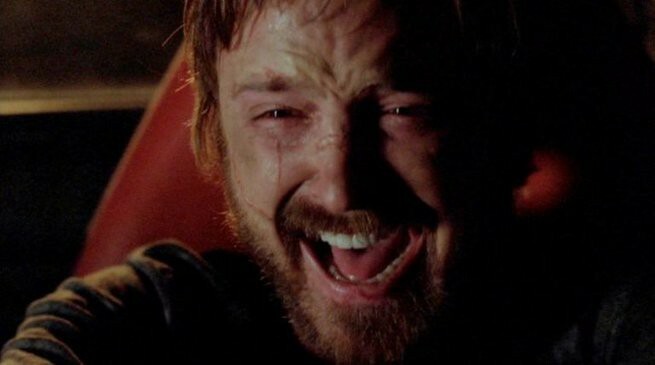 Everything about “Breaking Bad” was perfect. It was filmed beautifully, the casting was interesting and pitch perfect, the acting was memorizing and the writing….my god, the writing. The writing was simply genius. And best of all, they showed amazing and inspiring integrity. The list of quality television series that ended up losing their way and overstaying their welcome is as long and distinguished as it is depressing. Hell, the term “jumping the shark” comes directly from this phenomena. Just look at how “Dexter” and “Entourage” went from beloved shows to punchlines. “Breaking Bad” was different. They had a story to tell, and they were telling that and leaving at the exact right moment. Each season, the series saw the number of viewers increase, and that doesn’t include how well it did (and continues to do) on Netflix. But they wrapped a beautiful bow around this gift, and ended the series after five seasons. Just 62 episodes, while “Grey’s Anatomy” is in season 15, has aired 325 episodes and three series have either been spun off or announced. So when the producers of “Breaking Bad” announced that they were going to film a prequel of all things, and about a slime ball lawyer, who had appeared in only 43 of those 62 episodes, I wasn’t just skeptical. I was disappointed. I thought, “There it is. They couldn’t walk away from all that money.” But by the first commercial break of “Better Call Saul” I was hooked. And through four seasons and 50 episodes, I’ve come to see that this isn’t a prequel at all, it feels just like “Breaking Bad” even in the stakes aren’t always as high. And I mean that in the best way possible. It’s the perfect companion to a perfect show. And now I can’t get enough. I have so much faith in everyone involved in this universe, that after Saul fades in to the Nebraska night, I need them to do another prequel. I’d let Walter White walk around my house in his tighty whities, if they’d give us a five season run that focuses on how Nacho broke bad. And then this week, it was announced that they were going to film a “Breaking Bad” movie. And yo, once again I was skeptical. Because, you know, we watched Walter die. Throughout the day, my mind continued to drift to the brilliance that comes from the Land of Enchantment. I wondered how the story would unfold, and I swear this is true, I realized it could work if they did one thing: told the world what happened to Jesse. Everyone loved that foul mouthed screw-up who somehow found a way to break good. Seeing him drive away from dead Nazi’s felt great, but it also left unanswered questions. Luckily, as details of the movie have come out, we know that Jesse is the focus. And I am all-in. Only I can’t help but wonder about the story. I mean, Jesse doesn’t have any reason to stay in New Mexico. He was forced to watch as Todd executed Andrea, but it doesn’t seem likely, that he’d be able to get custody of Brock. And from what I can remember, there aren’t any scores left to settle. I don’t want to see Jesse return to cooking meth, but as I rack my brain, I’m pretty sure he’s broke. Maybe we’ll find out that Walt buried some money for him in another spot in the dessert? Maybe Jesse would want to track down Saul (now Gene), but I can’t see a reason for that. So what does this mean? It means that I’m excited. I trust that Vince Gilligan and his team will make a fantastic movie, filled with story lines I could never imagine and it will all make perfect sense for Jesse and the rest of the characters. Which I’m sure will include some new gems and some old friends. Because when Jesse said this about Mr. White, “you know, he is…smarter than you, he’s luckier than you. Whatever….whatever you think is supposed to happen, I’m telling you the exact reverse opposite of that is gonna happen..ok?” he was really telling us about Mr. Gilligan.